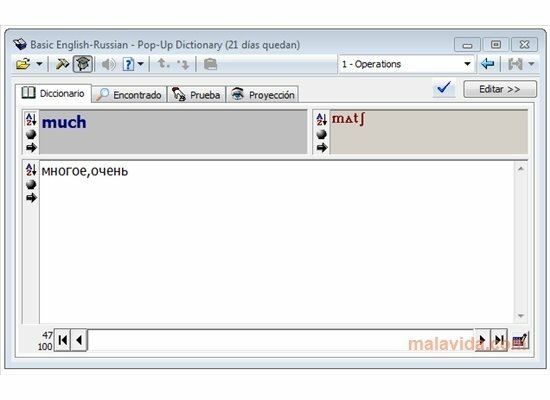 Pop-Up Dictionary is a language translator that, more than simple world correlation, offers real help when it comes to practicing and checking your vocabulary knowledge in any language that you are interested in learning. 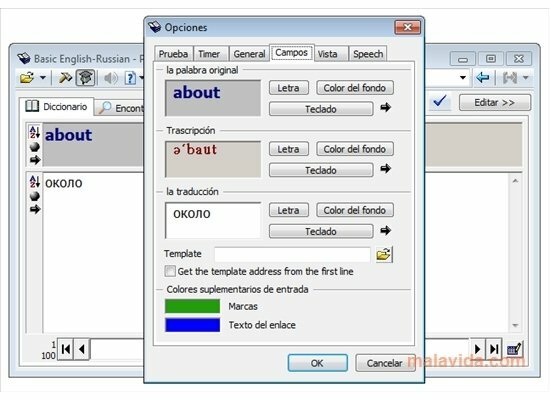 Once a dictionary is loaded on the application, if we go to the “Test” tab it will show us one word after another on the screen, whether in our native language or in the language that we want to learn. And we will have to place the proper translation in the box set for such a purpose. But don't worry, if you know the answer all you have to do is press the “Slide-Show” tab to know who that word is written. 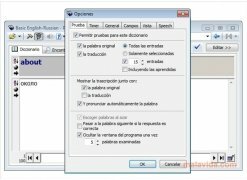 Another option that it has available is to search or look up words in the “Dictionary”, which will also show us how each word is pronounced. 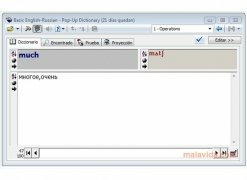 If you want to improve your vocabulary in any language, we advise you to try Pop-Up Dictionary, both because of how easy it is to handle as well as how practical it is. The trial period lasts for 21 days. The dictionaries aren't included in the application.